Experience an unforgettable family holiday on The Boaty Weekender. 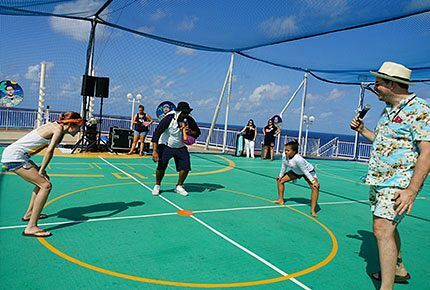 From special The Boaty Weekender-themed kids activities to fun and games with the Splash Academy and Entourage staff, there are endless opportunities for fun all over the ship for every age group. Learn more about our complimentary youth programs and paid services that are designed to help our junior Weekenders create moments that make life rock! When your wee ones are having a great time, you're having a great time. Sign them up for our complimentary youth program where they can enjoy creative play, sports, and more. From theme night fun to special The Boaty Weekender related activities, our youth staff has a knack for making your children feel safe and happy aboard the ship. Catch a show on the pool deck or grab a bite to eat at Cagney's while your teenagers hang out in a spot filled with video games, movies, arts, music, sports, and friends their own age. From the coolest lounge at sea to the hippest dance clubs at night, there’s always something going on at our teen center. Best of all, it’s all complimentary and supervised. Please note the Guppies Area is not available for children under 3 on this event. Whether your crew is small or large, choose from multi-room suites or interconnecting staterooms. Our ship has Family Mini-Suites, Balconies, Oceanviews and Inside staterooms and we even have 2-Bedroom Family Suites conveniently located near the kids' area. Your mini Weekenders do not have to go far to play! Sit down to a hot pizza. Check out our made-to-order buffet. Or make it a memorable night at a specialty restaurant. With Freestyle Dining, you can eat where you want, when you want. Plus, kids age 3 and under always eat for free and kids 4-12 can order from our complimentary kids’ menu at any restaurant. Treating the kids to soda on holiday? Soda packages are also available for all ages! Make your holiday even more memorable with an adventure on land that is perfect for the whole family! 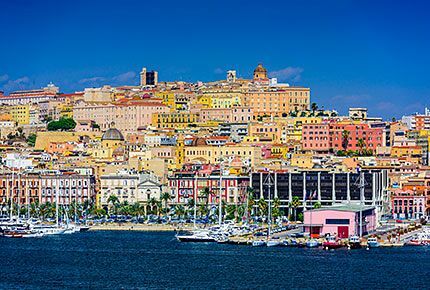 Cagliari has several beautiful options for family fun. Whether it's a walk on the beach, or a historic sight-seeing tour, you'll find something everyone will enjoy. Learn more about excursions in Cagliari. From The Boaty Weekender-inspired kids-only activities to Norwegian Pearl's family friendly amenities, there's no shortage of fun to be had! Throughout the year, we will update this page with more information about special activities just for the younger set! Splash Academy is a drop-off program for children ages 3 - 12 (Turtles, Seals, Dolphins) offering high energy, interactive, themed-based programming. Entourage is the teen hangout for 13 -17 year-olds. Refer to Entourage FAQ: What does Entourage have to offer teens 13 -17 years old? 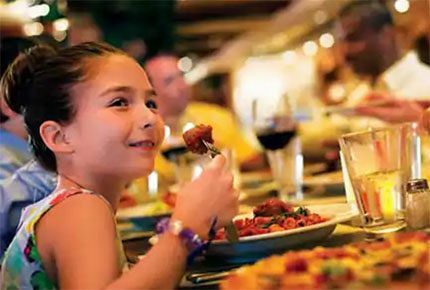 Splash Academy and Entourage are complimentary programs, but there is a port day meal fee of $6.00 USD per child/per meal, which applies for the supervision of children during meal times. Depending on the arrival of the ship into port, Port Play Meals may include a combination of breakfast, lunch and/or dinner. Please check the activity program on board for the Port Play Meal(s) time slots. $24.00 USD per session for the 1st child, $20.00 USD per session for the 2nd child. Fees are charged to the guests' onboard account. Freestyle Free Play are designated time slots scheduled by the Youth Program Manager within the Splash Academy programs which allow friends and siblings to play together. Although we advertise that children 3 - 12 can play together, the Youth Program Manager still reserves the right to keep 3 and 4-year-olds separate for the overall safety of the entire group. Please inquire with the Youth Program Manager with any questions. Freestyle Free Play may vary per ship and itinerary. What is offered for 12 year-olds who are almost teenagers? If a 12 year-old is registered for Splash Academy, it is understood that 12 year-olds need special attention and programs; therefore the Dolphins Youth Counselors offer more mature games/theme nights and schedule Entourage Take-Overs allowing the Dolphins to enjoy the lounge, video games, air hockey, foosball, music videos and much more. Any parent or at least one authorized pick up person of a child in diapers using the drop off service, on sea days or ports must be reachable and remain on board as pagers and handy phones do not work off the ship. 2. A parent or authorized pick up person does not remain on board during port day services. For overall safety, children should pack and be expected to wear closed toe sneakers when participating in activities on the Sports Court. In addition, children can decide to pack items that match with the common themes; but please know that items will also be created and made on board for each theme for the children. We focus on creativity, self-expression, and engagement. To ensure that children/teens and parents have an enjoyable holiday, and to assist those children/teens that require a little extra care, it is recommended that parents contact the access desk in advance of sailing for any medical special needs request by calling toll free 1-866-584-9756 or by sending an email to accessdesk@ncl.com.